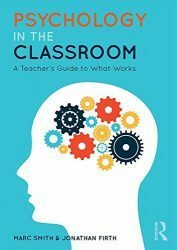 Written with fellow Chartered Psychologist and teacher Jonathan Firth, Psychology in the Classroom introduces the reader to a number of areas that have shown to be useful in learning environments. We are both passionate about psychology and convinced of its merit in educational settings. Between us, we have accumulated decades of study, teaching and research in both psychology and education so it only seemed logical that we try and pass on this knowledge to educational professions who perhaps have not had the opportunity to see psychology in the same way we have. Psychology in the Classroom, as an idea, was conceived in the autumn of 2015. The main hurdle was deciding on the topics to be covered in the book. Psychology is a vast discipline with branches that spread wide. We wanted to ensure that we could include something for everyone, from those who had developed a passion for cognitive science to others who might be fascinated by the social and emotional aspects of learning. We, therefore, chose to include a wide range of topics, some of them already known to teachers (such as resilience and motivation) and some perhaps less well known (such as cognitive load theory and other aspects of working memory). We believe that we have done justice to our discipline. Undoubtedly, we will have neglected areas that are useful to teachers, but we felt that there were some topics that already have good quality publications attached to them (for example, behaviour management). We have attempted to remain critical throughout each chapter, rarely (if ever) assuming that psychology is perfect and without criticism. Writing with an intelligent and educated audience in mind, it would be our wish that our readers approach each chapter with a critical gaze, taking from them what they find useful in their own classrooms.